Irwin Motors and Hire & Go Winton have been locally owned and operated by Blair and Robin Irwin since 2005. Blair started working at Winton Motorcycles after school when he was 15 years old. Once he left school, he qualified as a Motorcycle Engineer and worked for them for eight years. After leaving Winton Motorcylces, he earned his Automotive Certificate at McKay Motors and was the Manager there for two years. Hire & Go started with a horse float and a salvage trailer and continues to expand every year. Robin handles all the books and lends a hand in the retail shop when it gets busy. She also likes a competitive game of squash. Blair and Robin have two children and they enjoy taking 4WD trips, boating and heading to Te Anau for a bit of rest and relaxation. Sharon moved to New Zealand from the UK in 2009, and has been working in the retail shop for almost as long. 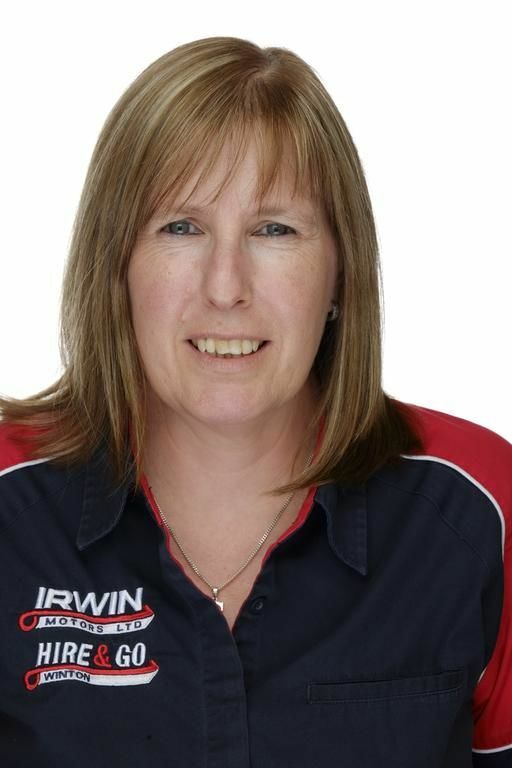 She really enjoys interacting with customers and says Irwin Motors is a great place to work. Sharon has been married for 30 years and has two grown children. When she's not working, she enjoys gardening and reading. 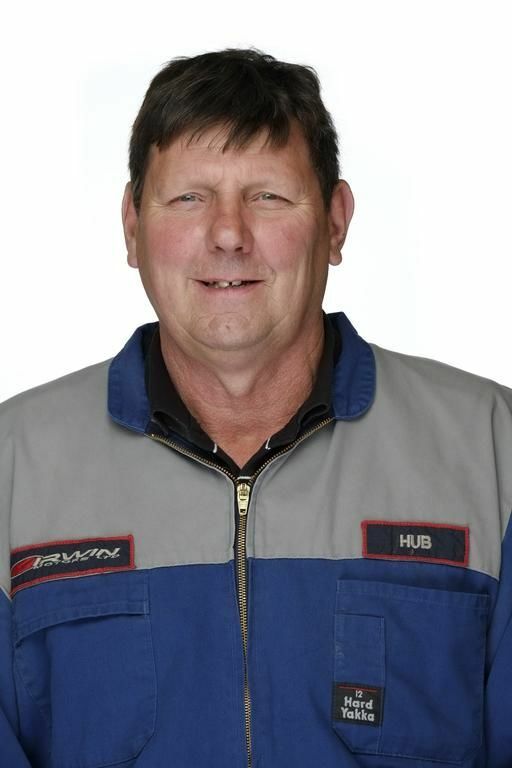 Hub has been a mechanic for over 20 years and has been working for Blair since 2013. He's the WOF, service, brakes and tyres technician. He enjoys the comraderie and meeting different people each day and sharing a story or joke with them. Hub likes to play a weekly round of golf and is a keen duck shooter. He and his wife, Kirsty have three grown children. 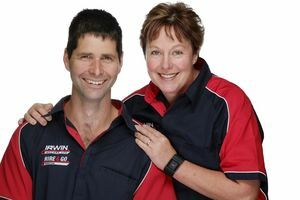 Nathan has been a mechanic for about 20 years and joined the team at Irwin Motors in 2017. He's an all-rounder who can do mechanical and electrical repairs, WOF and servicing. He likes the range of work and being able to fix things and make them work better. Outside of work, Nathan enjoys trail riding, woodwork, classic cars and spending time developing his hobby farm. © Copyright 2019 - Irwin Motors.